The Mega Millions jackpot is at a record-high $868 million, and Americans love to play the lottery. But people living in some states spend way more than those in others. Americans living in the eastern half of the US tend to spend more than those living in the western half. Those living in the northeast specifically tend to spend more than those living in other parts of the country on a per capita basis. 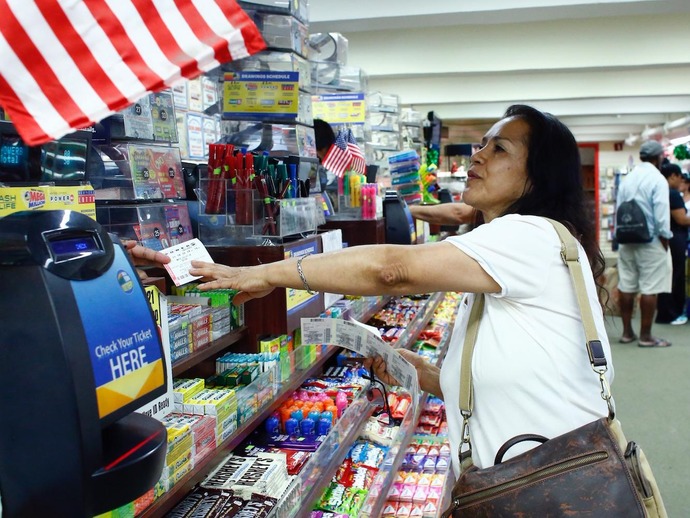 Residents living in Massachusetts spend the most on lottery tickets by far at $767. West Virginia came in second place at $594, and Rhode Island was in third at $513. On the opposite end of the spectrum, North Dakota residents spent the least at $45, followed by Wyoming at $46 and Oklahoma at $48. Six states did not have any lottery revenues reported in the Census data: Alabama, Alaska, Hawaii, Mississippi, Nevada, and Utah. They are gray on the map. WASHINGTON (AP) - The Supreme Court is set to hear arguments over the Trump administration's plan to ask about citizenship on the 2020 census, a question that could affect how many seats states have in the House of Representatives and their share of federal dollars over the next 10 years. The Supreme Court considers a case that will determine if the Trump administration can use the 2020 census to find out who is and isn&apos;t a citizen. The Trump administration wants a citizenship question on the 2020 decennial census but critics say it could hurt minority communities like Doral, Fla.